What is a Yacht Yard? 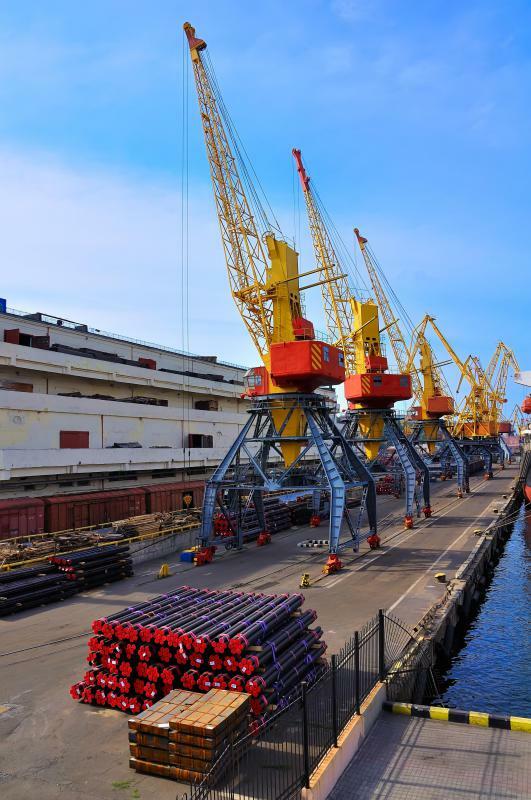 A yacht yard might include cranes for launching boats. Yacht yards provide slips and moorings for vessels, such as sailboats. A yacht yard is a business that builds, sells and moors higher-end recreational boats. Repair, restoration and refinishing are also services of yacht yards. The word "yacht" often connotes large, luxurious vessels, but the term generally includes all sailboats, power boats and combination boats more than 20 feet (6 m) long. 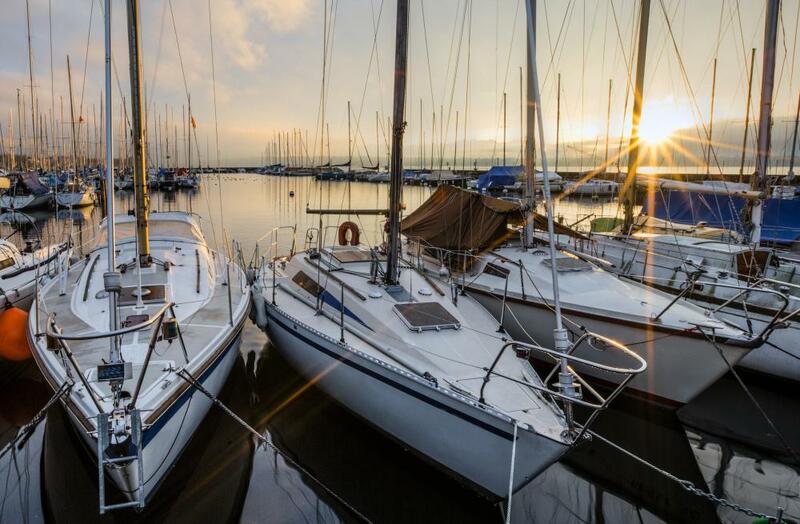 Yacht yards, also called boat yards, might specialize in sailboats or power exclusively or work with both types of vessels and combination vessels. Yacht shipyards usually specialize in larger yachts, as the word "ship" implies. Some yacht yards build and sell new yachts. They might specialize in creating reproductions of classic wooden yachts, some build yachts customized for their clients, and others build yachts of their own design. Wood, glass epoxy and fiberglass are some of the materials used to build the vessels. A yacht yard might also offer brokerage services, buying and selling used and new yachts and locating the perfect yachts for its clients. Yacht yards provide slips and moorings for vessels as well as dry storage, which is storage for yachts outside of the water. Dry storage might be outdoors or indoors. Yacht yards, especially those in colder climates, might offer inside heated storage for vessels and framing and covering for yachts stored outdoors during chilly winter months. Video surveillance and other security protection for yachts in winter storage might also be provided depending on the yard. Other services of yacht yards might include sing hydraulic trailers, cranes and boat lifts to launch yachts into the water or recover them from the water. The types of repairs performed at a yacht yard can include maintaining mast and rigging systems, troubleshooting and repairing gasoline and diesel marine engines, fixing plumbing and electrical components and much more. Yacht restoration also is done at yacht yards. Work of this nature might include remodeling and modernizing cabins, repairing wooden boat hulls and deck planking, updating electronics and hardware and other things. Refinishing and repainting of yachts also are services performed at yacht yards. Yacht yards are located all over the world, wherever there are oceans, lakes and rivers to enjoy. Some yacht yards are small, family-owned businesses that pride themselves on the craftsmanship passed from one generation to the next. On the other end of the spectrum are yacht yard chains that have multiple locations in different geographical areas. How Do I Choose the Best Used Yacht? How Do I Choose the Best Yacht Builder? What Is a Yacht Marina? How Do I Choose the Best New Yacht? How Do I Choose the Best Yacht Trailer?